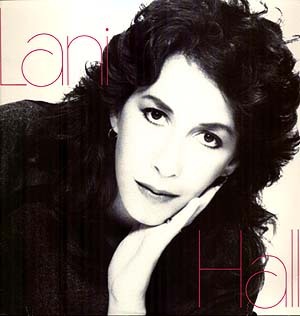 With her first Latin album well-received, Lani Hall went back into the studio in 1984 to record and release her ninth solo effort, the self-titled LANI HALL. As she did on the previous album, she performs basically the whole set of songs by the same composer. This time it was Camilo Blanes and Sergio Fachelli, and the result is no less stunning than on the previous effort. There are two duets here, Lani with producer Camilo Sesto on “Si Tu Fueras Capaz,” and “Corazon Encadenado.” Sesto also does background vocal work on “Para Vivir Asi,” with Herb Alpert providing the trumpet solo on it as well. Again, the material here is exceptional and well-suited for Lani’s vocal stylings. There’s the lively “Amo Al Amor” and “No Quiero Llorar,” and the bouncy “Que Te Propones” to provide balance with the more emotional ballads “Asi Es La Vida” and “Ven A Mis Brazos.” All in all, another sterling effort that’s a must-have for fans.